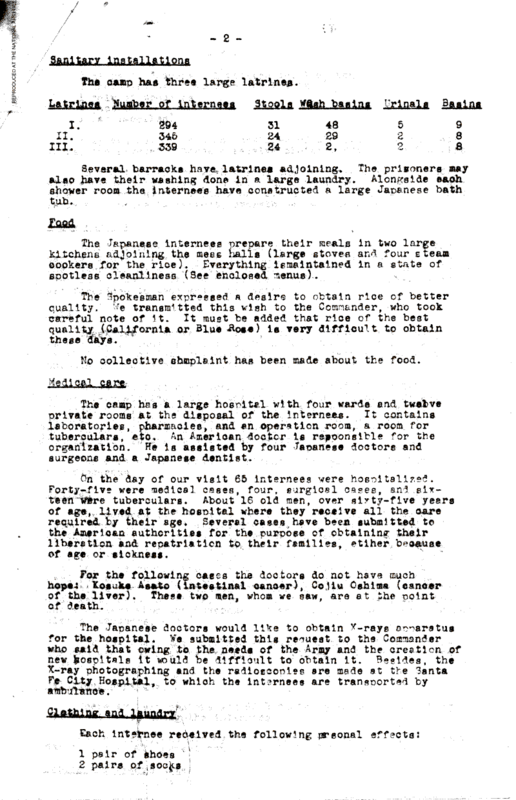 Document Notes: Red Cross report on a visit the Santa Fe, NM internment camp. Good insight to the workings and condition in the camp. The internees from Tule Lake were members of organizations petitioning to return to Japan to fight against the U.S. They also, for the most part, had renounced their U.S. citizenship and thus had become eligible for internment, no longer being U.S. citizens.